I will be the first person to admit that going abroad was something that never appealed to me. Sure, I had listened to the energetic talks of my school’s study abroad office and the life-changing stories of upperclassmen who had gone abroad, but the idea never struck a chord with me. I liked my life living in the United States, I liked my routine, my car, my neighborhood, my Starbucks. As I was thinking about what I wanted to do during my undergraduate career, I made the decision that I would not be venturing far outside my zip code, and I was alright with that. All that notwithstanding, the question becomes, how in the world did I wind up in the tiny Mediterranean island, Cyprus? I suppose I should give a little bit of background about myself; I am a biology student at the University of Akron in Akron, Ohio and I am planning to attend medical school after finishing college. I am also involved in Phi Delta Epsilon, a fraternity for medical and pre-medical students. It was my membership in PDE that brought the idea of going abroad to my attention. I got an email from a company called Global Semesters, offering summer programs abroad in a wide range of things, two of which were health sciences and pre-med. Naturally, anything ‘pre-med’ piqued my interest, but the ‘abroad’ part brought the kibosh just as quick. But, something in my mind had been intrigued, and after checking in to Global Semesters and talking with my university’s study abroad office, I decided to request some more information about the program. I got all the documents I needed and then I called my dad, who has always been my sounding board for ideas. When I first broke the news that I was seriously considering going abroad, even though I had always been staunchly on the opposite side of the argument, he was shocked. But, he encouraged me, and the rest is history. I booked the trip, bought my tickets, and began to psych myself up for the journey! After a minor, weather-caused mixup during my departure, I made it safely to Cyprus, and we moved into our apartments. My roommates were three other young men from all over the United States, and of all different fields of study. We became fast friends, and soon the rest of the American students in the building came together to form a huge group. We had dinner parties, shared experiences and comforted each other’s homesickness. The first three weeks of the program were spent at the University of Nicosia in Cyprus. I elected to participate in the program that offered specialized classes on the delivery and management of the European healthcare system. Our teacher was a wonderful woman named Savoula, who had been working in the industry for over 30 years, and knew healthcare inside and out. She took the entire class to two hospitals so we could experience the system first hand. Of course the trip was not all work and no fun, and each weekend the program coordinators had an excursion planned for us to a different town in Cyprus. My favorite was to a small seaside town with lots of character called Paphos. We spent the weekend by the sea, saw many archeological sites and enjoyed the great nightlife. 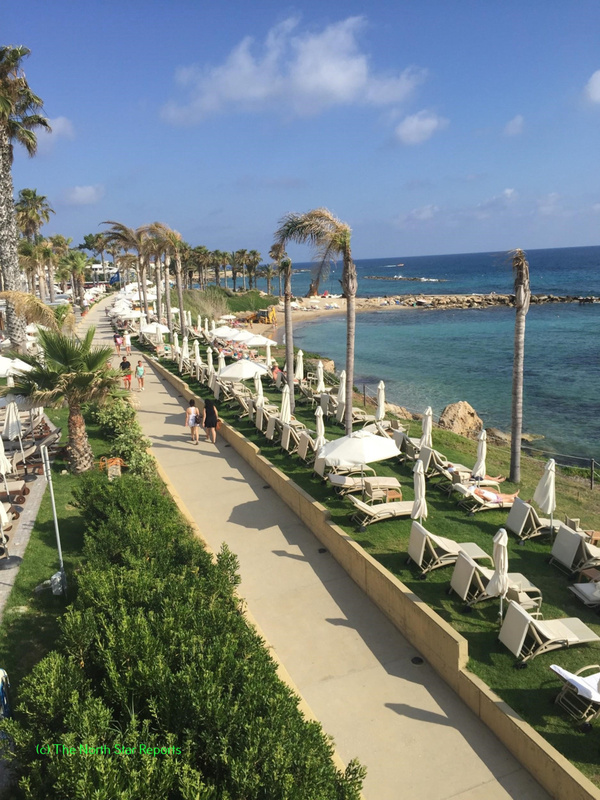 The short time we spent in Paphos is one of my favorite memories from the entire trip, and I am so glad to have experienced it, and to have had such wonderful people to experience it with! I think the biggest thing I took away from my trip to Cyprus was a theme of acceptance. Just because America does something one way does not mean it is right. I was guilty of this kind of thinking, I had never taken the time to really think about the way the rest of the world works. I think we in America have a sort of tunnel vision, a kind of top down approach where the United States is at the top of the food chain, and everywhere else in the world is forever in our shadow. No one is as sophisticated, high-tech, or efficient as America, so why should anyone care what the rest of the world is up to? Being in Cyprus forced me to abandon my narrow-minded thinking, and recognize that the United States is only a small portion of the entire world. Clearly, the rest of the world is doing just fine, and we could all learn something by experiencing and interacting with another culture. After being in Cyprus, I truly feel like I am a better citizen, student and friend. I had the opportunity to see how the European healthcare system works, and at this time of profound change in America’s health setting, that exposure was invaluable. Being able to compare the way two different countries go about solving the common problem of healthcare delivery was a unique perspective, and it helped me understand the reason things work the way they do in the States. As difficult as it was for me to get out of my comfort zone, I am so glad I did, and I firmly believe going abroad is applicable to any field of study. 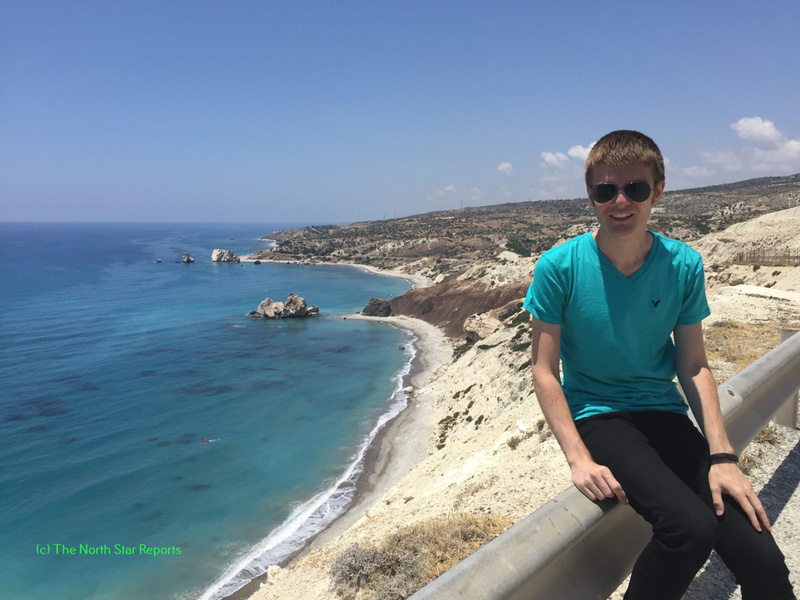 Thank you Samuel for sharing, it sounds like Cyprus was a wonderful experience. It’s crossed my mind to travel abroad, but like you I become hesitant. I like routine and going outside my comfort zone isn’t something I do often. There was a travel abroad opportunity that I looked into, but unfortunately it didn’t fit in with my schedule and didn’t apply to any course requirements I needed to fulfill. I agree that people in the states are stuck in the mindset that the US way is the only way. What many don’t realize is other countries have been functioning just fine in their own way. There isn’t necessarily one way of doing things. Thanks again for sharing! Thank you for sharing your experience, Samuel! It sounds like you learned so much and got a lot out of your trip. I have always wanted to study abroad in college, but had always been nervous about doing it because, like you, I am comfortable in my routine. I also switched my major half way through college so I didn’t really have room in my schedule to study abroad because I had so much more classes to take. I kind of regret it now because I am graduating in a couple of weeks and no longer have the opportunity to study abroad. I have told myself that I am still going to go abroad sometime in the near future just because I can. Thanks again for sharing! I looked into attending this study abroad trip as well, and I am so elated to read your writings and experience it in a different way! First of all, your writing is very easy to relate to and enjoyable. I agree with you, so many people in the United States act as though we are the best of the best, while the rest of the world continues forward. It sounds like you had an absolutely wonderful experience. Thank you for your work! It sounds like you had a wonderful experience in Cyprus. I also have never really been drawn to study abroad as it would mean pretty much starting all over in many ways. I think your right in the way that we pretty much have set minds as we grow up. It is hard for us to accept differences in other cultures. Im happy that you were able to step out of your comfort zone and broaden your horizons. I think it made you definitely made you look at things in a whole new way and perspective and gave you more of a acceptance to change and difference. Thanks for sharing Samuel. This sounds like a super fun and learning filled experience! The trip to Paphos sounds really great. The ideas you bring up about America viewing things with a sort of tunnel vision seem very true. People, and Americans in particular, can learn a lot just from accepting that there is more than one way to do things. People all over the world do things differently and are doing just fine as you bring up. Thank you for this well written and insightful article. Thanks for sharing your experience in Cyprus! I really like how you came to realize that Americans tend to have narrow-minded thinking and have a hard time accepting other cultures. Although it is true for Americans, I also believe this statement is true for citizens of other countries. It is difficult to accept things that aren’t in routine to you or things that are unfamiliar to you. It is great that you came out of your study abroad experience realizing that America believes they are at the top of the food chain. That is a hard concept for many people, including myself, to grasp. Thanks again for sharing! I am so glad you decided to study abroad. I find you learn so much when you travel, not just about the people you meet and the places you go but about yourself. Cyprus is an unique destination and I now have to add that to my lists of places to go. I hope you find more time in your life to travel to learn more and experience what the world has to offer. I’ve always felt similarly about studying abroad. One part of me isn’t intrigued at all and I like the comfort of normalcy. The other part of me thinks it would be a great experience. It’s nice to hear you learned a lot about the topic at hand, as well as improved yourself as a person. It is funny sometimes how we end up places we never visualized ourselves being. I am glad you had the opportunity to take this trip and that you gained so much from it. I am also extremely jealous of you! I would love so very much to travel to Greece someday. From your photos it looks so very beautiful. I also find they ways in which different countries and cultures form their health-care systems very fascinating. What would you say is something you took away from what you learned about the health-care system in Cyprus that you might use in your own career in the future? It’s refreshing to hear from another Biology major pursuing a career in medicine. As you probably figured out for yourself, it’s hard to find support to study abroad in this field, as most graduate schools/med-schools don’t care where you go, as long as you get the A’s (at least thats what I’ve learned in my experience). A few years ago I decided to not listen to that and embark on a journey to Costa Rica for a service medical trip–and just as you have said in your article, it was the best decision (and investment) I could have ever made for my future. I guess it’s true what they say, sometimes it takes traveling far away to learn what was in your heart all along. I loved this! I understand your feeling of being safe in your environment and not being aware of bad things going on around you. I enjoy that your travel experience has allowed you to to experience a plethora of cultural experiences and people. This is a similar idea that has been touched on some other articles but a different perspective on it. Many of us may not think that we’re narrow-minded at all, but we often are. Not in the case that we are unwilling to accept other ideas, but just that we never think of the fact that others have ideas and ways of doing things. We are often narrow-minded not out of stubbornness but rather ignorance. Your article here highlighted that very nicely and is something that many of us relate to and it is helpful to be more aware of. Thanks for sharing your story! Reading this made me very excited to study abroad, as I am planning to do this in the Fall. It has been an unexpected plan but it is coming along nicely. I am excited to see how it changes me as a person! Travelling is a really great way to realize that the US is not the pinnacle of sophistication or technology, which is sometimes an ideological rut people here fall into. I think that most/all programs should promote and, most importantly, make time for travelling in their curriculum, even if it is just a couple weeks. I can’t think of a single career that wouldn’t benefit from travelling and seeing that field somewhere else in the world. I can definitely relate to your feelings of being comfortable where you are and sticking to your routine. It wasn’t until I began studying Russian that I really wanted to start studying abroad. However, studying abroad is an important step in becoming a more effective and engaged citizen. In addition, I think studying abroad and moving outside your comfort zone really leads to some personal growth. Thank you for sharing this wonderful story, a truly great article. Studying abroad is a once in a lifetime experience. Being able to study and experience a different culture sounds like so much fun. I liked the point you brought up about how Americans think that there is only one way to perform a certain task. It is great to see that you opened your mind and looked at a different perspective. It sounds like you had a great time! I’m glad that your experience was a good one. I really like how you pointed out the shortcomings of the US that is really only understood once you leave. For this reason and many more I also want to travel at length during my collegiate experience. Thank you for reiterating the want for me to travel and I hope that your future traveling experiences are as pleasant as this one was. Thank you for sharing your story! This is a current issue of my own. Is studying abroad a good fit for me? I am a nursing student and I have heard of many great trips to take that would open my mind up in the medical field by taking in a different aspect of medical needs in a foreign country. Am I going to study abroad? I am highly considering it and my hopes are to find a different part of me that makes me a better citizen, student and friend similar to you. This article has made me think twice about studying abroad. Thank you! I’m intrigued about your sudden change of heart regarding the idea of studying and traveling internationally, but I’m glad such a change occurred. Even in this short article one can see that the trip had a major impact on you and changed the way in which you see the world. I completely agree with what you’ve said about Americans being close-minded and having a gross superiority complex. This is why it’s not hard to imagine why some locals dislike Americans when we travel abroad; who appreciates overly confident people who, to an extent, are actually clueless about where and who they are? I like how you ended your piece, that we can all learn something by experiencing and interacting with another culture. This is how I viewed by decision to study “abroad” in the US from the UK; although both countries speak the same language, our cultures differ greatly. What you said about embracing and accepting that everyone does things differently and that there is no real right way is great. If we don’t step outside of our “bubbles” then we’ll never be able to truly discover ourselves. Cyprus! What a great trip that would be! I’ve read many ancient tales set in Cyprus and I couldn’t imagine how great that experience would have been. Studying abroad always tends to give people a wider perspective and shapes who they are as a person. I’ve heard nothing but good things about these programs and someday I hope that I can spend time out of America. Thank you for sharing your experience of studying abroad. I agree with you on many things like not wanting to leave your zip code and the idea of narrow mindedness when it comes to studying abroad. I really liked when you said “I had never taken the time to really think about the way the rest of the world works.” I feel like most people are in the same boat we tend to get so caught up in our own lives that we only focus on our identity and culture and we never look at other countries or cultures as being remotely close to ours. I feel that if you want to have an awesome experience studying abroad you need to leave the narrow mindedness at home. Great Article! Thank for you sharing your experience Samuel! It sounds like you had a wonderful time in Cyprus!! I’ve always been interested in traveling abroad, ever since my family and I hosted an exchange student from Germany last year. It sounds like you had an unforgettable experience!! Thanks again for sharing!! I agree with you that many people in our country have an unintentional bias towards not leaving the United States. Modern media has made it seem as anywhere else you go is unsafe, or possibly not even worth your time. The fact is that anywhere you are, (even in the US) there will be places that are unsafe, but that doesn’t make it a bad place to be. When we immerse ourselves in another culture, the value of all that we learn is 100 times that of the fear of danger that comes with a foreign country. Isn’t life just amazing? You find yourself in all sorts of adventures that you would never picture yourself being a part of. I’m glad you decided to go abroad, it sounds like you got a lot out of it. I believe that learning a new way to do something, even if just the sake of knowing how to, is critically important in keeping our minds flexible. Thank you for sharing your experience. Stepping outside the everyday routine is difficult for me as well, I am a homebody. Your adventures sound so beneficial and fun for you and your future. Going to other countries and visiting with people you do not know gives the majority a bias, I think as long as you recognized it people there can only appreciate you. Your photos are breath taking! Thanks for sharing! I found this article to be extremely relatable which made it that much more interesting to read. I found it interesting how you mentioned American people’s tendency to look down on other people and assume their manner of doing things is the right way. Although I 100% agree with this, I think it important to note that there are many other countries like this. A strong sense of patriotism is all it takes for people to believe their culture knows all. I have really thought about traveling abroad but like you said, I like my usual things and I am not a huge fan of change. Although I do love traveling, it just seems to me that it would be hard with the language barrier. What sorts of things did you find the be your favorite during the trip? How was it with the change in culture as well? Thanks for your story! I love the idea of study abroad. I love learning, I love travel, and putting them together is absolutely the ideal combination. Granted it’s sometimes expensive, but my freshman English teacher once said ‘you’re going to be taking out so many loans, what’s one more?’ That’s a sad concept, yes, and I would reword it and say that I think it’s the most worth it. Maybe that’s just me, though. I’m glad you got so much out of it! I like how you connected in the tunnel vision many of us Americans have. I feel like it is common to as a human focus in on ourselves and the immediate world around us. Causing many to distance ourselves from other cultures and areas around the world. I think that is also why travel abroad programs are so beneficial as they have the ability to open peoples eyes. Sounds like you had a great experience, that ended up impacting you a lot as a person. Thank you for sharing. Thank you for sharing your experience in Cyprus! I am happy that it ended up being a good experience for you. Especially since you had no prior interest in studying abroad. It is a great feeling to be able to not think in a “tunnel-vision” way and to be able to be aware of what is going on around you. Traveling is always great to open minds! I can relate to the idea of being close minded and comfortable in a routine. Once a routine is established and flows well in your day, it is hard to break from that. But, like you mentioned, leaving that routine and comfort brought you many positive benefits and also opened your mind to other thoughts on things. I say that I want to travel abroad, and I really do! But I always think back to my routine now and think “how is this going to fit in?” It’s okay to break from routine because your article shows that positive outcomes can, and most likely, are the result. Sometimes, all it takes is a leap of faith and you took it! It sounds like you really enjoyed your experience, and I like how you ended it saying you are a better student, friend and citizen. I’m very jealous that you took that chance to study abroad even though you didn’t, as I often regret and wonder what and how I would’ve changed if I studied abroad. Thanks for sharing! I really liked reading your article because it is so genuine. The way you talked about your daily routine and how you didn’t want to go away from that – I think that is so relatable and that a lot of people can connect with. On the other hand, I am so glad going abroad went well for you! Overall, I really enjoyed reading about your time in Cyprus. You have fully convinced me to take a leap of faith and travel out of my comfort zone. I can relate to what you said about America not looking at other countries innovation some times. I think this is shown throughout history. Most often the English wouldn’t take the wisdom the Native Americans, or try to learn there way of life. They would rather try to push their ideals image and beliefs on other because they thought they were the design to beat. I think in the same place you were before your trip. While I am comfortable studying in the US, I have never seriously considered studying abroad. While I would like to, I end up getting caught up in graduation timelines, having to miss sports and activities, and not being present with my friends and classmates. However, it seems like your experience was pretty transformative and ended up being worth it. It seems like your program had a good mix of social and educational opportunities. Those seem to be the ones that attract me most. I want to make sure I don’t end up spending a semester on a beach, but instead a mix of experiences with a strong focus on academics. Thanks for sharing this week. I also am not one for large changes. I tend to follow my week to a T. If something changes, i second guess myself constantly. That being said, if it was a constant change i could probably handle it. It is great that you had a fantastic time in Cyprus. Some of the vacations i went on included going to Mexico and although it was change, after a week i was glad to be back home again where i could resume my normal routine. Safe travels! It sounds like you made the right decision with doing something outside of your comfort zone. I studied abroad for just two weeks in the Philippines and it was an experience I will never forget. I agree with how you were saying that we could learn something from these other countries. Sometimes a different way of lifestyle is a very nice change. I am glad you were able to take so much away from this experience and have grown as a person. It is so crazy how something we never expected to do can impact us so much! I enjoyed your article; it brought me back to my time in Mexico! It’s amazing the amount of anticipation and anxiety that can come from diving into an experience you never thought you’d attempt: I felt the same way about going abroad, and now can’t imagine my life had I not! 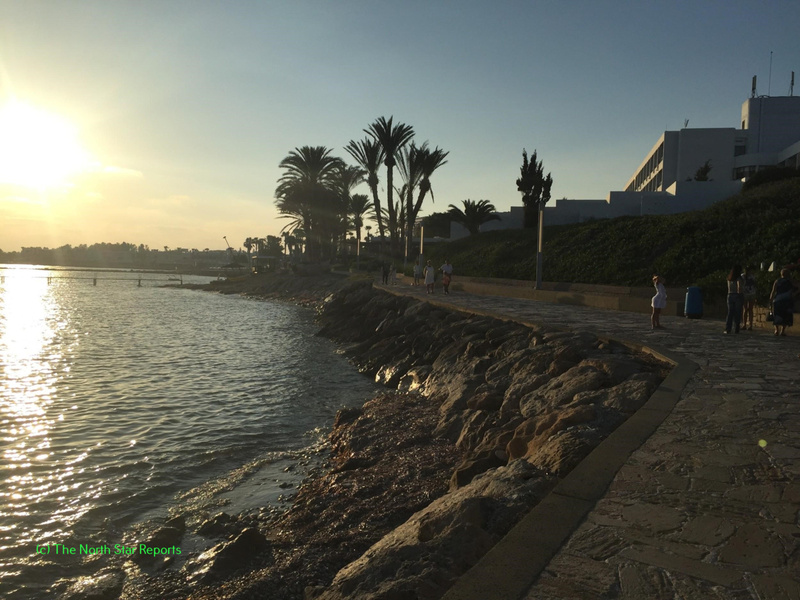 Cyprus looks astonishingly beautiful from the pictures you have taken. I am glad that you have taken a step out of your comfort zone. I think it is common for people to think that the way they do things in their country is the right way from other countries. But it isn’t always necessary to group things with right and wrong. In my opinion, we can group the US into one, but if we start to look around carefully, each state, each city even county differs. It is not necessary to go out of the country to find the differences as we are always surrounded by it. But great story on how study abroad has impacted you!